This form explains the reasons why and how Ormiston Shelfield Community Academy and Ormiston Academies Trust (OAT) may use photographs and videos of your child. Please read the form thoroughly and outline your agreement as appropriate. Ormiston Shelfield Community Academy and OAT use photographs and videos of students as part of academy displays to celebrate school life and students’ achievements, to promote the academy on social media and on the academy and OAT websites, academy and OAT events, and for other publicity purposes in printed publications, such as newspapers/journals. Where the academy uses images of individual students, the name of a student will not be displayed/used with the image in such a way as would allow the student to be individually identified, unless explicit permission is sought and given. If, for example, a student has won an award and their parent/carer would like their child's name to be published alongside their photograph, explicit permission will be obtained prior to this. 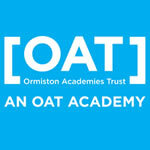 Ormiston Shelfield Community Academy and/or OAT and/or an approved supplier may take photographs or videos of individual students and groups to use on social media, the academy and OAT websites, in academy prospectuses and other printed publications to promote the academy and OAT. Why do we use photographs and videos of your child? INSERT ACADEMY NAME and/or OAT and/or an approved supplier may take photographs or videos of individual students and groups to use on social media, the academy and OAT websites, in academy prospectuses and other printed publications to promote the academy and OAT. Who else uses photographs and videos of your child? It is common that the academy is visited by media/press that the academy is working with directly, and who may take photographs or videos of academy events, such as sports days. Students will appear in these images and videos, and these may be published in local, regional or national newspapers, social media or on websites, including the academy or OAT YouTube account. Where any organisations other than those above intend to use photographs or videos of your child, additional consent will be sought before any photograph or video is used. If a special event is arranged e.g. OAT Annual Awards Ceremony, additional consent will be sought before any photographs or videos are used. This consent form is valid for the current 2018–2019 academic year. The photographs or videos taken will be stored securely for the duration of your child’s time at the academy, up to five years (it may be held for an additional two years if your child attends the sixth form, if relevant). If further use is required, further consent will be required. It is the responsibility of parents to inform the academy, in writing, if consent needs to be withdrawn or amended. The academy will not use the personal details or full names of any student in any photographs or video, on our website, in our academy prospectuses or any other printed publications, unless additional consent is requested/given. The academy will not include personal emails or postal addresses, telephone numbers on photographs or videos on our website, in our academy prospectuses or any other printed publications. The academy may use pictures of students and teachers that have been drawn by students. The academy may use work created by students. The academy may use group or class photographs or videos with general labels, e.g. ‘sports day’. The academy will only use photographs and videos of students who are suitably dressed, i.e. it would not be suitable to display any photograph of a student in swimwear. The academy may take a class/year-group/whole-academy photograph of your child which are available to purchase annually. Please read the following conditions thoroughly and provide your consent as appropriate by selecting either ‘Yes’ or ‘No’ for each criterion. The academy and OAT will only publish photographs and videos of your child for the conditions that you provide consent for. This form is valid for the entire academic year, 2018–2019. It will be updated on an annual basis. Parent/carers are required to fill in a new form for their child every academic year. New requirements for consent, e.g. an additional social media account will be used to share students’ photographs and videos. Changes to a student’s circumstances, e.g. safeguarding requirements mean a student’s image cannot be used. Changes to parental/carer consent, e.g. amending the provisions for which consent has been provided. Where you would like to amend the provisions for which consent has been provided, you must submit your request in writing to the Principal. A new form will be supplied to you to amend your consent accordingly and provide a signature. Parents/carers have the right to withdraw their consent at any time. Withdrawing your consent will not affect any images or videos that have been shared/used prior to withdrawal. If you would like to withdraw your consent, you must submit your request in writing to the Principal. Why my consent is required. The reasons why Ormiston Shelfield Community Academy and OAT uses photographs and videos of my child/myself. Which other organisations may use photographs and videos of my child/myself. The conditions under which the academy/OAT uses photographs and videos of my child/myself. I have provided my consent above as appropriate, and the academy will use photographs and videos of my child/myself in line with my requirements. Consent is refreshed on an annual basis and I must re-provide consent if I consent to photographs and videos of my child/myself being used in other academic years. Can’t we state we intend to keep for the five or so years your child/you attend the academy. I will be required to re-provide consent where any circumstances change. I can amend or withdraw my consent at any time and must do so in writing to Mr Lloyd-Jones, Assistant Principal on 01922 685777.